Treelogic is a R&D-performing SME in Information and Communication Technologies. Cooperative R&D is the company hallmark, and the key to the business model followed by Treelogic, assessing the maturity of emerging technologies and identifying strategic partners to create new business opportunities. Polícia Judiciária (PJ), the Portuguese Criminal Police, is a higher criminal police body under the Ministry of Justice, supervised by the Public Prosecution Authority. The University of Kent was founded in 1965 and is a research-led higher education institution with more than 19000 students studying a diverse range of subjects. RISSC is a private, not- for- profit association established in 2005 in Torri di Quartesolo (VI) – Italy. Universidad Complutense de Madrid (UCM) is one of the largest Universities in Spain and all around Europe. 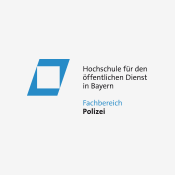 The Study Department Police is located in Fürstenfeldbruck and in Sulzbach Rosenberg. Now there are about 800 students at the campus. 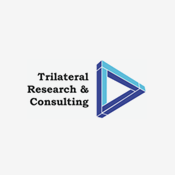 Trilateral Research (TRI) is a London based Limited company. It specialises in research and the provision of strategic, policy and regulatory advice on new technologies, privacy, risk, surveillance and security issues and effective stakeholder engagement strategies. Politecnico di Milano (POLIMI) is the largest Italian Technical University, with over 1500 faculty members. The Department actively involved in systems security is the Dipartimento di Elettronica, Informazione e Bioingengeria (DEIB, http://www.deib.elet.polimi.it), with 200+ faculty members and slightly short of 200 PhD students and postdoc researchers. The Belgian Federal Police aims, in cooperation with the Local Police, at improving security, maintaining and developing the democratic principle of the rule of law by carrying out police missions. 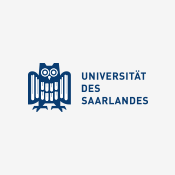 The Center for IT-Security, Privacy, and Accountability (short: USAAR) was founded in October 2011 as a competence center for IT security at Saarland University. The Spanish National Police Force (Cuerpo Nacional de Policía-CNP) is a police force (LEA) born in 1824, since their origin have been growing as police force up to the present day. You can now download the project flyer.